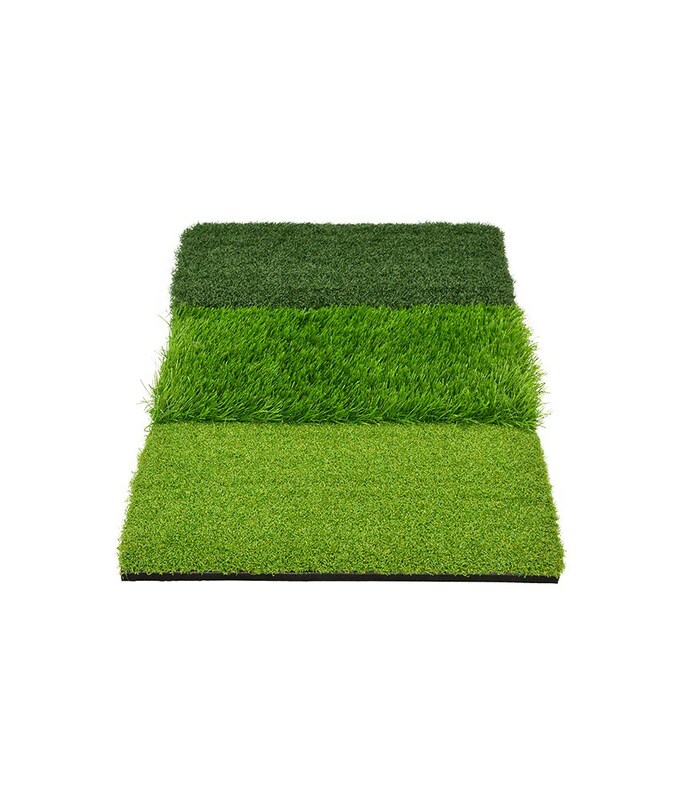 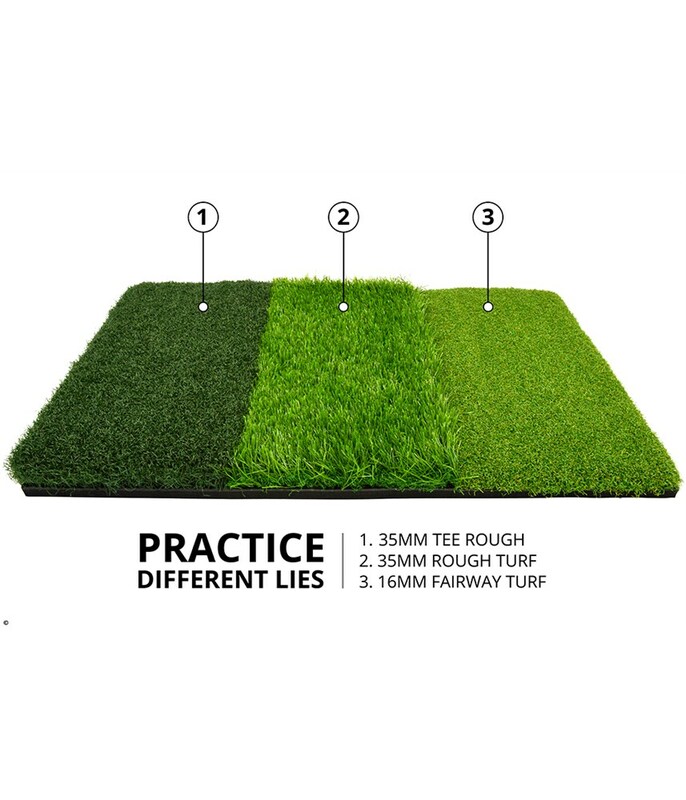 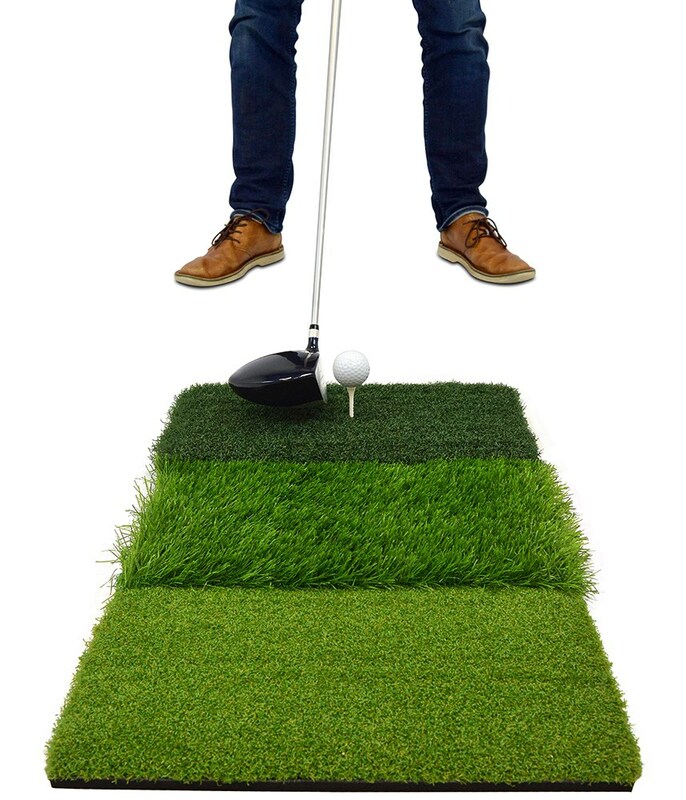 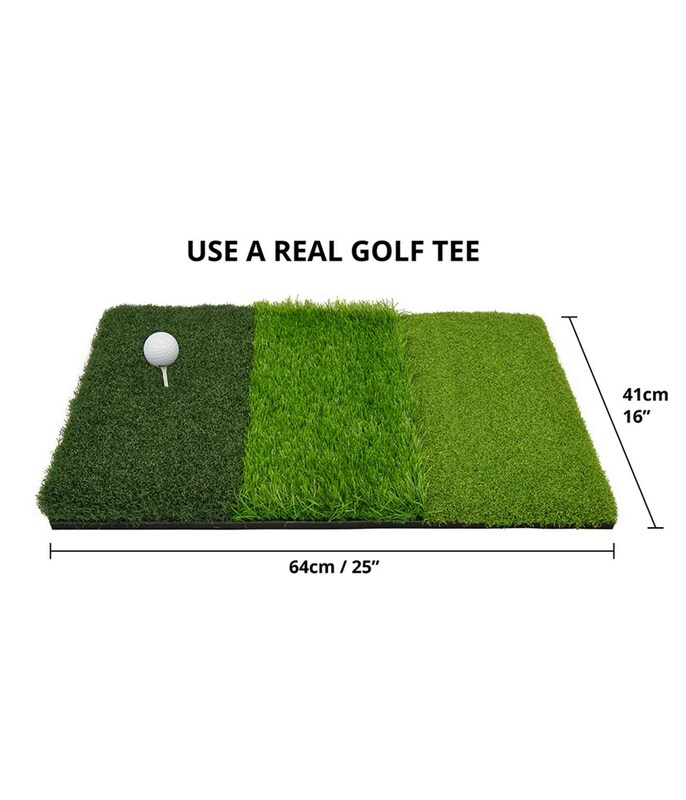 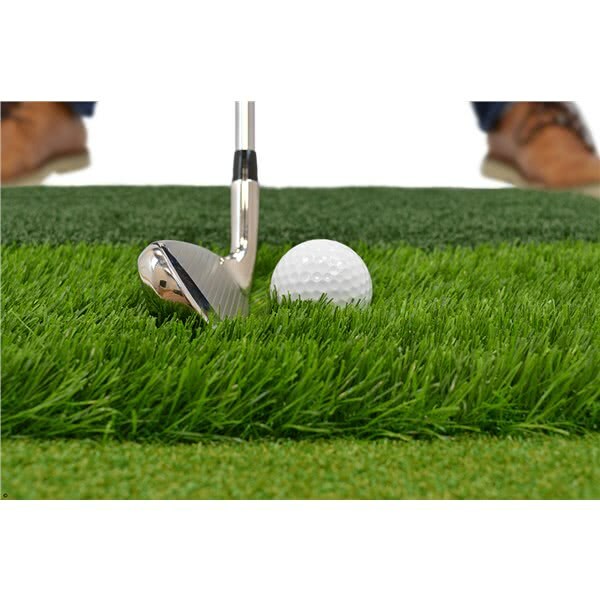 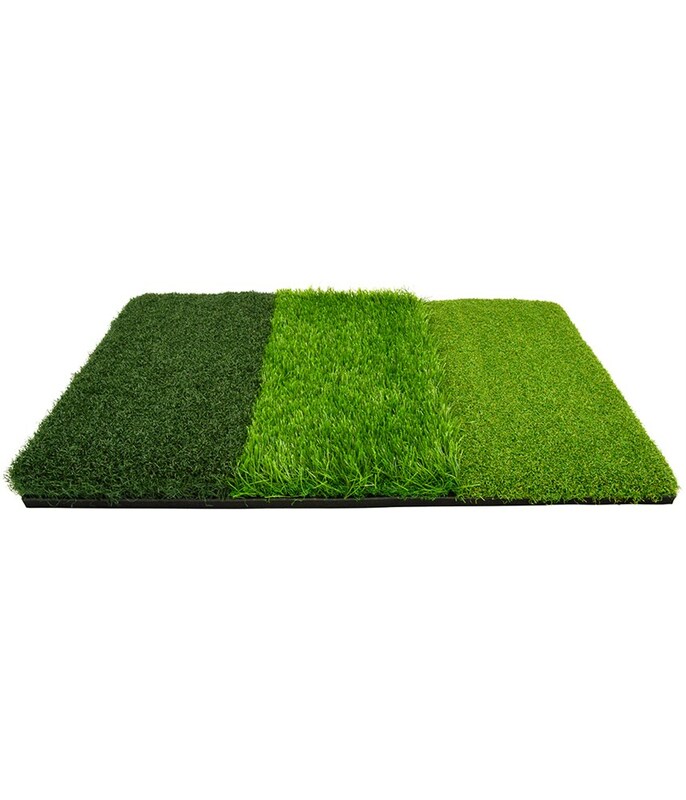 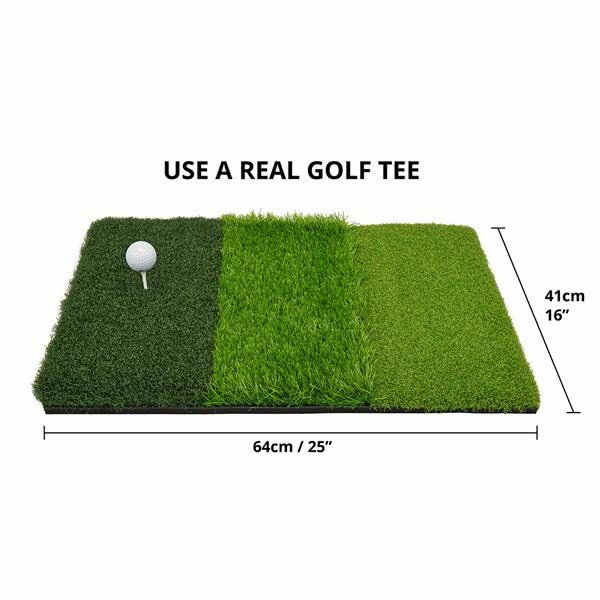 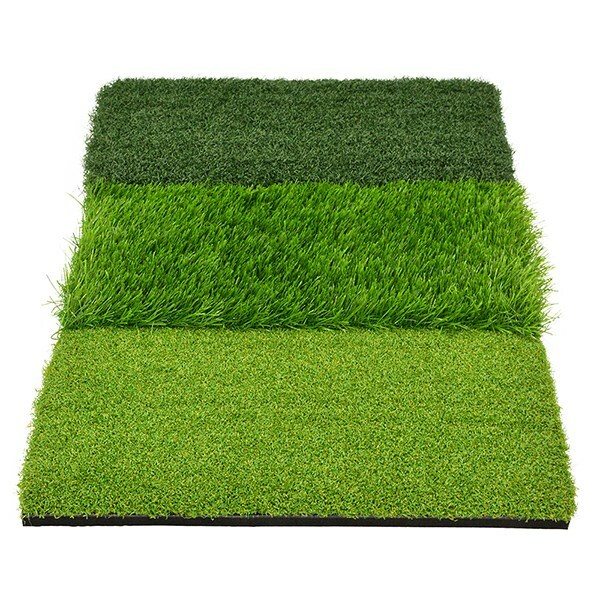 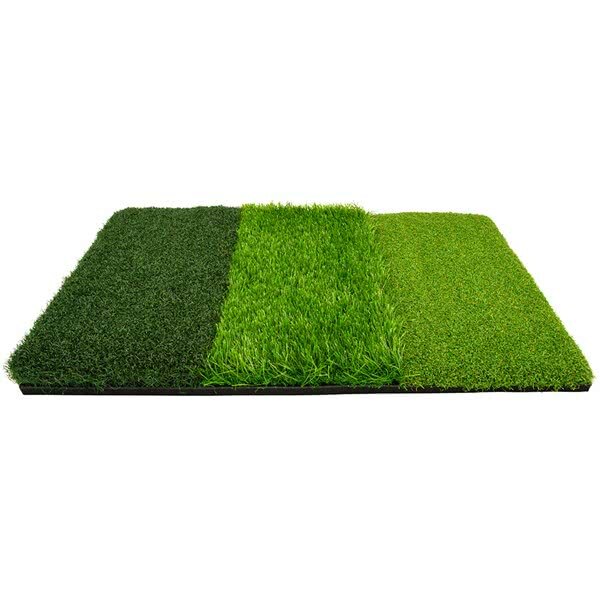 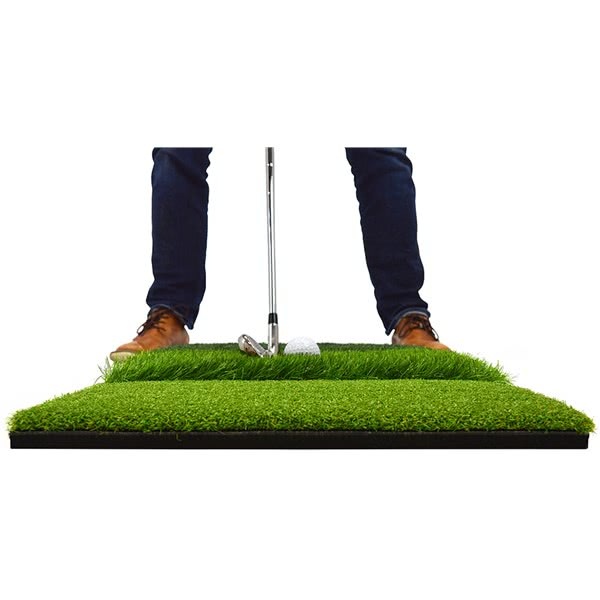 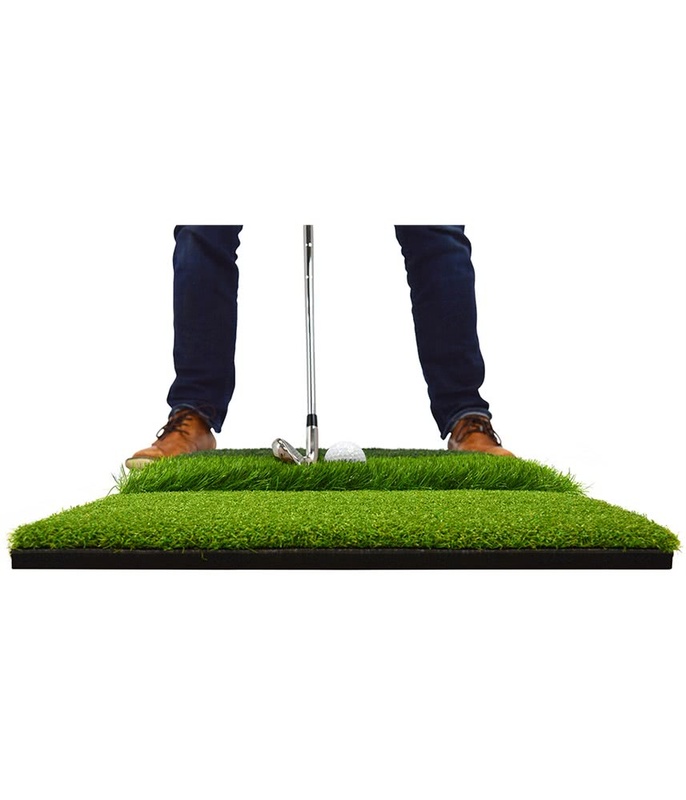 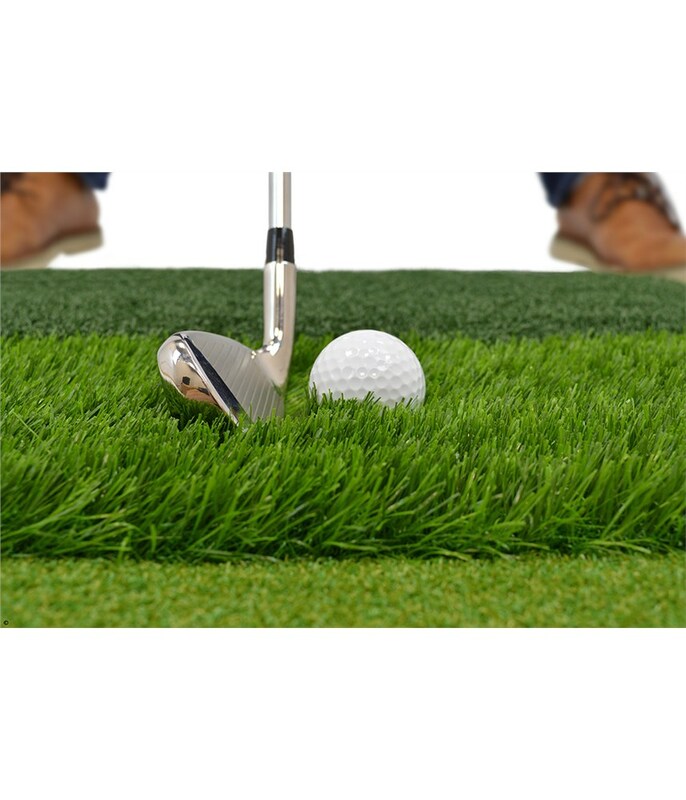 The On Par Tri Turf Hitting Mat offers you the opportunity to replicate different types of lies that you will hit from on the golf course. 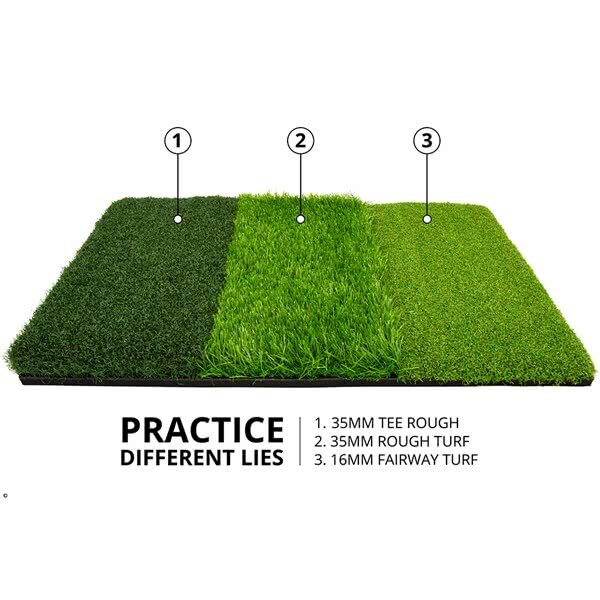 Practice off the fairway, the first cut of rough and the tougher second cut. 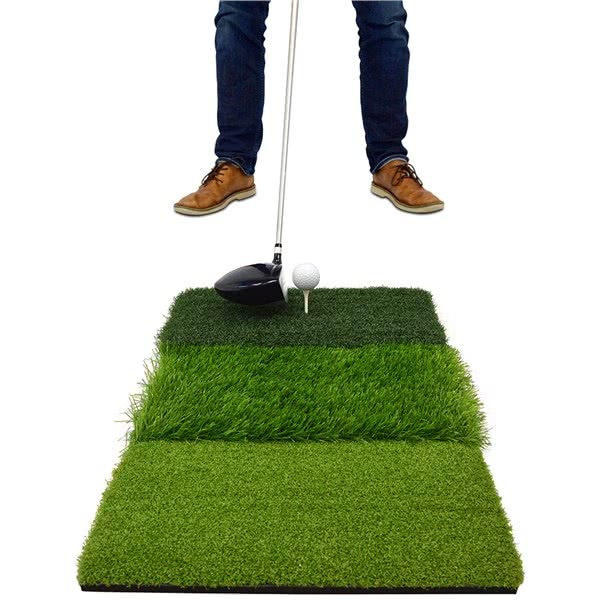 By practicing these shots you will know what to expect when you are on the course. 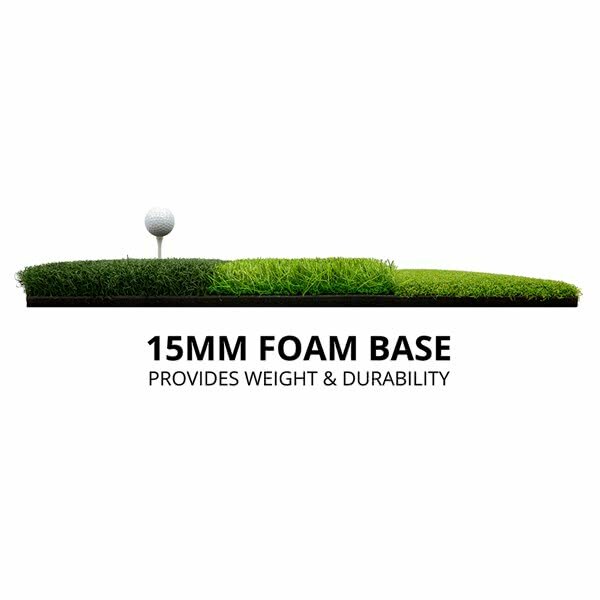 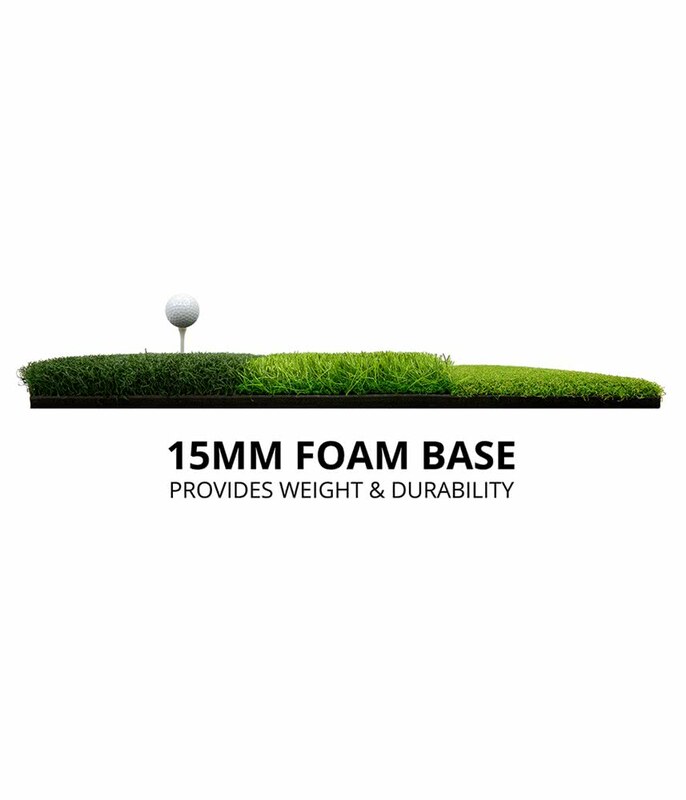 The durable base provides a sturdy base to fit from as well as absorbing impact to replicate what it feels like hitting full shots from proper turf.